to a full 36 months! 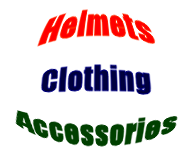 Explore the outdoors and just plain have more fun with your ATV/UTV-- even if you're on a budget. Now's the time to choose a quality ATV trailer that will last many years with the industry's best warranty. Haul all your camping & hunting gear anywhere with an UTV trailer or perfect as a dump cart for the back yard, garden, farm, or ranch. Even better behind your Rhino/RZR or side by side for your next adventure. Professionals know the most dependable and durable trailers are Bosski Built. Incredible machines at pricing you can afford. Your trailers are awesome, I thought nobody made anything like this before. I saw it on display at Team Bozeman and the 1600AL blew my mind. I am so impressed, you guys do such an excellent job for the money and features. My ATV Wagon trailer makes getting wood fun on our 60 acres in the Adirondacks. I bought my Bosski ATV Wagon for the huge tires so I could use it everyplace my quad could get to, and for the safety and convenience of the electric brakes, but the dump feature was really convenient too. Whether I’m hauling wood out of my back yard or working deep in the woods it’s a tremendous asset. 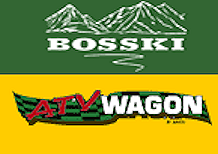 I wouldn’t buy an ATV trailer without these features and you get them in a quality product at a great value from Bosski. Bosski also stands behind their product when you have questions or concerns. Got to look at one of your units today. Very impressive. Love all the electronic safety features (brakes) and the handlebar controls. I've been looking at your competitors King Kutter and the XB Polar Sport which sells in the Northern Tool Catalog. Your tilt bed system is by far surperior to their double diaphram hydraulic hand pump. In addition your tire size and suspension features are better. My late father had an accident pulling a trailer loaded with wood behind an ATC 200S three-wheeler. It jackknifed going downhill. He had avoided trying to hit a tree and made a sharp turn causing the jackknife because the trailer had no brakes. Here is a picture of my wagon loaded for trapping-- it works awesome! The ATV trailer pulls great behind my Polaris and I feel safe with the braking system. I love it. Do you own an ATV Wagon trailer? Do you share the same passion and excitement like these people? If you do, send us your letters, emails, and photos of you using the ATV Wagon trailer to be listed on our website. In return, we will give you a FREE Universal Rocker Switch, less the shipping fee, to control the dump on the 1600UT ATV Wagon-- a $59.95 value. This new switch easily mounts on to your handle bars and can control a variety of 12 volt accessories, such as: winches, dump boxes, ag equipment, or plows.